The Apple app store for iOS devices is full of useful items for model railroaders. Here are a few more of our favorites. Click on the titles of each app to go to the Apple app store. One of the trickiest bits of layout building is getting grades and inclines correct. This is where Clinometer comes in. 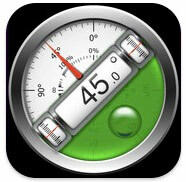 It uses the iPhone's built-in gyroscopes to become an accurate inclinometer to measure percentage grade. There are plenty of other apps that work as carpenter's levels or inclinometers but we like this one as it was the only one we found that displays grade as a percentage, which is the measurement model railroaders often use. This app works best with the newer iphones which have one perfectly flat side so you can leave the phone on your grade to measure it without having to hold it in place. 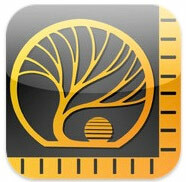 This free app is a great tool for making quick conversions to and between popular model railroad scales. Apps like this can make scratch building structures and other model making tasks quicker and less prone to error. 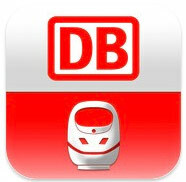 This free app from the DB makes travelling in Germany by train easy. Fully localized in English, this app offers full DB rail, bus and tram schedules as well as real-time train information and mobile ticketing (with the companion DB Ticket app.) If your travels will take your outside of Germany be sure to check the app store before you leave as the Austrian OBB and others have similar apps to help you out. 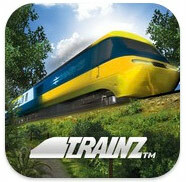 Trainz Simulator is a full fledged 3D train simulator for the iPad. Operate a rail-line modelled after the prototype or build your own work using the Trainz Surveyor tool. The app comes with a North American prototype route but a 99 cent add-on offers a route though the Black Forest complete with some well-known German prototype trains. Trainz simulator is iPad only but iPhone users can download Trainz Driver which offers many of the driving and operating features including the Black Forest route in-app purchase. For users of the Games on Track voice control and train position system , this app connects to your GoT system and gives full digital control through your iPhone or iPad. 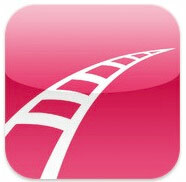 Control trains, turnouts, routes, automation or view a track diagram right on an iOS device. 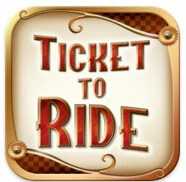 Ticket to Ride is a very popular railroad themed board game that has been well translated to the iPad and iPhone. Simple to learn and addictive to play, the game is well worth the low cost. In-app purchases on the iPad version offer European and Switzerland expansion packs. Maybe eventually we will even see a Marklin-themed version like the physical board game. That's it for now for our app guide. We will do our best to post any new apps as they are posted and will try to post an list of Android apps as soon as possible (if you use any great apps on your Android phone or tablet, let us know).